A third prosecution witness has testified against former Kampala District Police Commander, Joram Mwesigye in an assault case against TV journalist, Andrew Lwanga in the ongoing trial at the Buganda Road Court in the capital city of Uganda. Galiwango Ronald, a journalist with NTV told a fully packed court that, on the 12th of January, 2015, he witnessed and recorded Mwesigye beating Lwanga twice on the head and smashing his video camera. 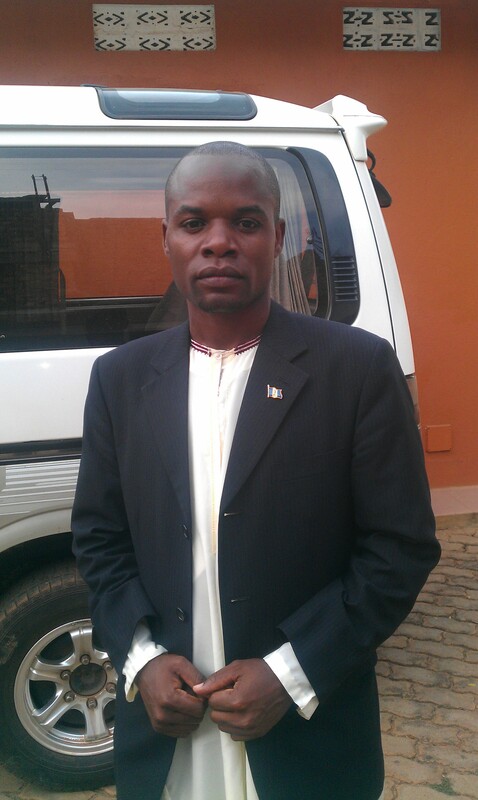 “I saw Mr. Mwesigye beating Lwanga two times on the head, using a stick he picked from another policeman. The first time, Lwanga never fell, but the second time, I saw him falling down… I managed to capture the incident on camera. When he fell down, his camera fell too and another policeman picked it up as Lwanga rolled over on the ground. A policeman came and started pulling Andrew from the ground. I felt bad and told journalists to go back and help lift our colleague so that he was not lifted in such a humiliating manner…” Galiwango told the court. Galiwango further stated that Mwesigye beat another journalist, Joseph Ssettimba using an electric cable which tore his trousers. He said that Mwesigye did not want to be captured on camera as he beat members of the unemployed youth group who were marching to the police headquarters through the Namirembe road in Kampala, so he tried to chase away the journalists before he descended on Lwanga and Ssetimba as other journalists ran away. 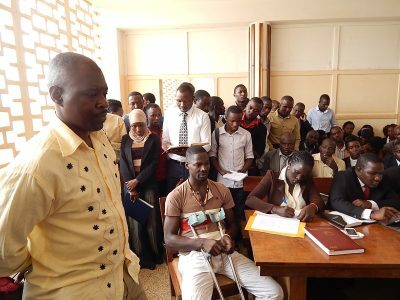 Galiwango showed the court video footage of the alleged incident which he captured as Mwesigye assaulted the journalists. This was after the court rejected a plea by Mwesigye’s lawyer, George Spencer not to allow the video evidence on grounds that it was not tendered by the media house’s librarian. The Prosecution, led by State Attorney Edward Muhumuza alleges that on 12th January 2015, along the Namirembe road in Kampala, Mwesigye assaulted Andrew Lwanga and damaged journalists’ cameras as they covered a demonstration by a group of unemployed youths. The case was adjourned to 4th June.